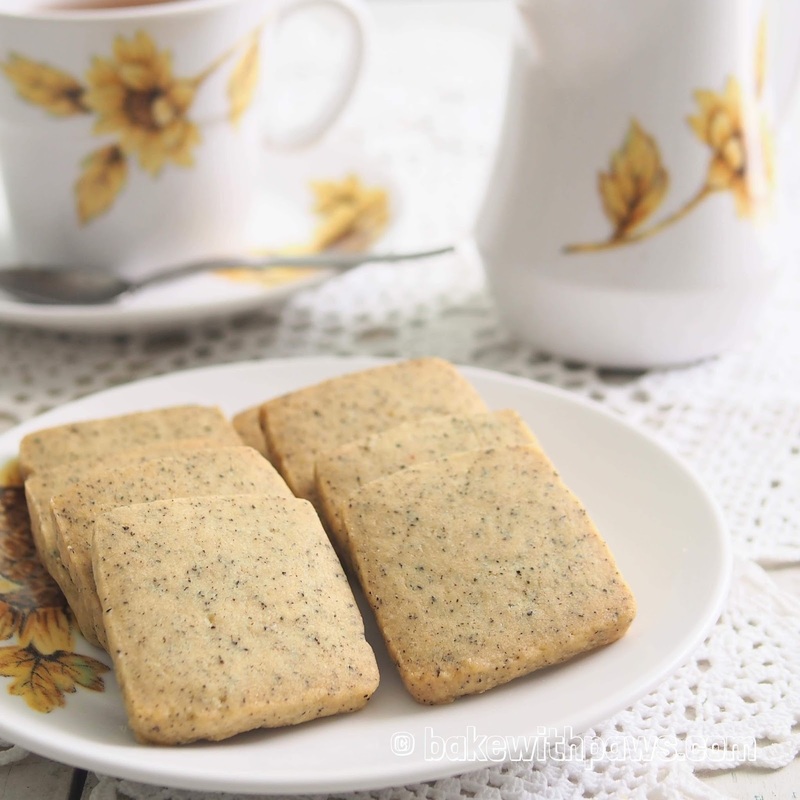 I made these Earl Grey shortbread cookies for Christmas recently and they are ideal as Chinese New Year cookies too. These cookies are buttery and crispy with a hint of the Earl Grey aroma for a delicious surprise. Blend earl grey tea leaves in food processor for few second. Sift flour together with baking powder and stir in salt and earl grey tea. Keep aside. In a bowl of electric mixer, beat butter and sugar till creamy and pale with the paddle attachment. Gradually add in the flour mixture with very low speed until combine. Roll up the dough into a log. Wrap it with cling film and refrigerate until firm about 2 to 3 hours or more. I shape the dough in aluminium foil tube box to get the long oblong shape. Remove from fridge and unwrap, slice the dough into ¼ inch thick. Place the biscuit on the prepared baking trays. Bake at preheated oven for 12 to 15 minutes. Let the shortbread cookies cool on baking tray for 5 minutes before transferring to a wire rack to cool completely. Store in airtight container.